To mark the 25th anniversary of their debut, 3 Loop Music are to reissue British indie/alt-rock band Curve‘s first two albums – Doppelgänger and Cuckoo – as two-CD deluxe editions. Compiled by Dean Garcia and Toni Halliday, between them these expanded reissues include all manner of remixes, rare and unreleased tracks. Along with the album proper, the two-CD set of 1992’s Doppelgänger (self-produced with Flood and mixed by Alan Moulder) includes all 12 tracks from the band’s three 1991 EPs, the single versions of both Fait Accompli and Horror Head, various B-sides and the rare Aphex Twin remix of Falling Free. Everything has been remastered from the original tapes. Regarded by the band as their best work and released just 18 months after Doppelgänger in September 1993, Cuckoo again spawned two singles: the Blackerthreetracker EP (where Missing Link was the lead song) and Superblaster. The new, expanded two-CD set includes all the remixes from the Blackerthreetrackertwo CD single, various B-sides and the original versions of Rising and Half The Time. Both Doppelganger and Cuckoo will be reissued on 25 August 2017. Update and this is the last post for me on this. After writing back and explaining my problem with the retailer after 4 weeks, everything went out fine for me and i will get replacement. Now all the faulty discs should have changed and if you buy now you will get the fixed ones. Update and a dissapointing one. Many thanks for your patience on this matter. there should not be any issues with swapping them over now. the album once you finally get the correct version. Now i have the trouble with returning the item to jpc and have them to explain why i havn’t send the Disc earlier. Normally 2 weeks and closed item. And it will take up to 4 weeks to receive a new one. No replacement were shipped, which is a big dissapiontment and not so custumer friendly. By the way it wasn’t my fault to receive a faulty set. I have been waiting for our distributor to let me know the best way to resolve this for you. I will try and get a definitive response for you today so if you can hold on for a bit longer that would be appreciated. Than no response until now. I have than tried to send a mail on 18.September to Julian, but the mail could not be delivered because the mailbox was full. So i tried it again directly by the Label on the same day. No response. See what will happen. It’s a little dissapointing. I received my copy from Amazon.co.uk on Mon 18th Sept and have played both discs. All tracks are present & correct. I think so. On the german side you must wait 1-2 month delivery time. I am curious how long it will take to get my replacement discs. On jpc the delivery time tells 3-4 weeks. Maybe they produce new ones at this time, so shops who sell it right now sell the faulty set. Funny how the quality control is nowadays. Many thanks for your email regarding your copy of Curve Doppelganger. We were aware of the misprint as soon as the copies were pressed and all copies were returned to the factory to be replaced with the correct version before release. Only the correct versions should have then been shipped out to the shops. Unfortunately, it seems that your faulty copy has snuck through. We will make sure that you get your correct version of the album but can you let me know where did you purchase your copy from? I also contacted 3 Loop Music and got a very prompt reply with an apology. I told them were I purchased the CDs and they are arranging to send me replacement copies. All within one day. A very reliable customer service. In fairness, a lot of times when deluxe editions of the CD contain a bonus disc, the vinyl version will be a straight reissue with the extra tracks available as a download, which spares the label the extra costs associated with putting everything on wax. And as someone who bought the CD version of “Doppelgänger”, and instead got the bonus tracks on disc one, and a completely different album on disc two, buying the vinyl and actually being able to hear the correct record would be an advantage for him. Disc 2. is the 10 track Album COCKOO, but printed with Disc 2 Doppelgänger. I can send pics by request. Now my question is, did you already know from the faulty discs and will there be replacement Discs, once the problem was fixed. So anybody the same issue? By the way, the mastering was not brickwalled. See what will come. Pre-ordered both on CD. Today, Doppelgänger was in the mail. Very excited about this! However there are not all Tracks on the CDs that are listed. CD1 w/ 10 Tracks (instead of 18) and CD2 15 Tracks instead of 16. So 9 are missing… Anyone else got them? I think. Monti on drums, Debbie Smith on guitar, she was great, sort of a shame she was also in Echobelly. I’ll be getting these, never had the money to get the CD versions of these EPs and the comp subsequently spiralled in price. Will be awesome to have I Speak Your Every Word without the dated rapping. Finally the “Screaming Bird Mix” of Missing Link gets a new lease on life. Nine Inch Nails remixed it and it is a masterpiece. Bravo! I saw them live in Cleveland. From what I remember they had to cancel because the drummer was arrested or something. Luckily, I could stick around for the rescheduled show the following night. It was great. Too bad they didn’t reform like they were kicking around a few months ago. A Blu Ray would be great too. This is fully magic, great news. I’d give both kidneys to see these guys live. I remember being parked at the second stage of Reading one year, they cancelled to be replaced by… theaudience. Toni’s pre-Curve solo album Hearts and Handshakes is worth a listen, the singles are pretty strong. Time Turns Around and Weekday being my favourites. I’m a bit gutted about the JC-001 version of I Speak Your Every Word not being included as it was only available on a limited EP released with Doppelganger. There was also 3 radio sessions they did between 1991 – 1993. Would also have hoped for more unreleased stuff, as I have practically all of their early music already. Saw them at Brighton after a couple of EPs were out, when they didn’t even have T-shirts to sell. Only got to meet Monti at the stage door, which was a shame (especially when he said I could have gone backstage for a signature…!). But them (and of course Bang Bang Machine) always stood out as the best acts John Peel introduced me to in my late teens. Oh, and Toni’s solo stuff is fine, but a lot more poppy than people may assume from either Curve or Scylla. Ordered Doppelgänger. Coast is clear was my favorite song back in the summer of 91. Haven’t listen to them for years. Now i’m happy you have remembered me of this fantastic release. Cool! Guess I’ll get both. Thanks for the info, Paul. Great news, particularly if there is a vinyl version. I remember single after single getting the NME pick of the week. They also supported The Boo Radleys at the ULU very early on as it was breaking for them, the debut Blindfold had only been out a few weeks. I was there for both bands but it certainly thinned out once Curve had finished. Great band. Pop with some attitude, Alan was part of this project as well for her debut (Hearts and Handshakes) The Single for Weekday has a nice extended version. This is great news – fantastic band, and they were superb live. A shame that so few live tracks by them seem to exist, but the two reissues are some compensation. Ordered within seconds of reading this post! These sound like they’ll be great. Always loved Curve. Wish they would do another proper album/tour like Slowdive and Ride! Are we missing the version of I Speak Your Every Word with JC001 from the 10″ of the Cherry EP, I believe this track was only available there. I remember now the two live tracks were on the remix 12″ of Fait Accompli so glad to have these on CD, especially with Coast is Clear being one of my favourites. Yep, sadly the JC001 version is not included due to rights issues. How so? He’s still on Ten Little Girls then? Yes, this version is absent and therefore not remastered, but was already issued on CD. It’s on the bonus 5 track CD EP which came shrink-wrapped with Doppelgänger in Germany. It’s up on Discogs and has always been quite readily available. Currently on sale there for £2 GBP, in fact. I hope these are mastered well and not brickwalled- they are LOUD I hope they don’t get crushed! Tim-meh is right. Garbage took their sound. Great band. Exceptional news. And I would have gladly paid for a box with videos, live tracks, tacky badges, black marbles, etc. 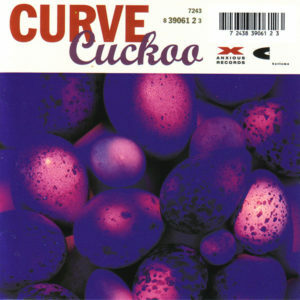 Curve are one of my favourite bands. I might be tempted by this if the albums are remastered as I’ve got most of the tracks. The first 3 EPs and Doppelganger were a bit quiet first time around. I’d like to see a DVD or live album come out at some point as they were brilliant live as well as on record. You can have a look at her Wikipedia-entry and will find some work she did before and after Curve, which is partky available on Spotify, YouTube etc. Last recording there comes from 2010. Toni Halliday’s post-Curve incarnation, Chatelaine, had an album out in 2010. It’s worth getting to know. She’s also had some more recent collaborations with composer Louise Dowd. Dean Garcia’s kept himself a busy man with SPC ECO, a solo LP and other collaborations. But a Curve reunion? Nothing’s impossible…maybe these reissues are the beginning of a new phase of activity. They were so good, and so undervalued (esp. in the latter part of their career). I don’t think their music has lost any of its power over the years – ‘Horror Head’ remains one of my favourite tracks of the era and still sounds immense. They deserve more credit and a wider audience. CD2 of “Doppelganger” is possibly the finest disc EVER. Though pretty much readily available as “Pubic Fruit” already. Oh I know. But THAT is one of the finest compilations ever. And this second CD improves it. Wow, never expected this but really excited. They look great as far as content, always surprised me they didn’t get more notice in the States, everyone I knew who discovered them were hooked immediately. I’ve been clutching onto several singles of theirs for years I can get rid of in lieu of what’s contained! I always thought Garbage sort of stole quite a bit from Curve. I’ve pretty much got everything on these releases and I too think its a shame there isn’t the inclusion of a live show or even a DVD because they made some great videos too. I’m definitely going to order these, but if I’m honest, I have to admit I’m slightly disappointed in these reissues. I have almost all of their singles (save for Superblaster) and would have loved for each of these to include a full concert recording (to offer something new to those who have their singles and ep’s). For those that haven’t heard the two live tracks that are on the Doppelganger reissue, be prepared to be blown away. They are simply amazing. Sadly, there *aren’t* any full concert recordings, only the 2 live tracks that were released on the second Fait 12″ (and included in this package). There were other live recordings… their Glastonbury 92 set, for example, was recorded. One track was even released officially, Faît Accompli, on the NME’s In A Field Of Their Own 2CD and cassette. Sounds pretty good! A nice addition to the live B-sides already released, which were on the USA Horror Head CD single back in the day, and have been available for download via Bandcamp for about four years. Were the entire shows in 1991 from which these two tracks were taken not recorded in full (and lying in a vault somewhere)? Would be a shame if that’s the case. I had always assumed that these complete gigs had been recorded. Looks like the vinyls can be pre ordered from cherry red records if your keen to get your orders in. Looks really good. A lot of this material has previously surfaced on various sets, singles, and ep’s, BUT I believe this is the first ever release of “Rising” and “Half The Time” in non-remixed form. Can’t wait! I’ve been waiting a loooooong time for those. You should check out Curve’s bandcamp page. There are loads more tracks posted up there. It is wav/digital download only, but lots of cool unreleased stuff! Too right Roger…..some of the best live shows I have ever seen ,a stunning and influential band that always deserved better than they got…was always hoping for a boxset but these will do fine. Doppleganger is fantastic, and that deluxe edition covers all the bases. 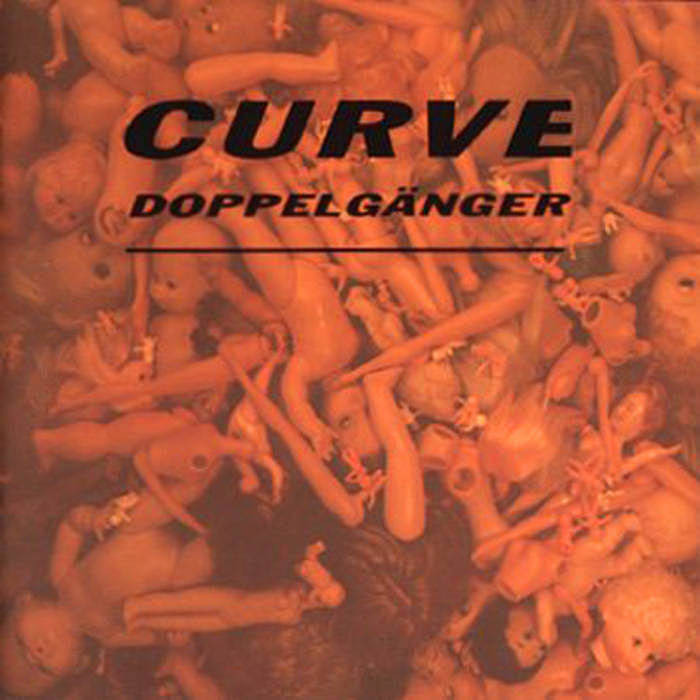 I just shelled out for a Curve rarities compilation (https://www.discogs.com/Curve-The-Way-Of-Curve-1990-2004/master/32711), but I wish I had known this was coming. What an album. Ordered, these look great, especially Doppelganger with the plethora of bonus tracks and the live tracks. Like how they have put the pre-album EP tracks on disc 2, rather than following the actual album, and have kept the alternate versions and b-sides with the album. Have been hoping for these for a while. …and that’s my birthday sorted out!! SWEET!! Those were two of my favorite early 90s albums. I’m curious if they’ve been remastered, as the US copies I had always sounded like they weren’t mixed quite loud enough.